When we buy online, most people want two things: fast and free shipping. Retailers know this, now many of them are waiving fees to win your business. Target is now offering free two-day shipping with no minimums or membership fees November through December 22nd. Walmart is doing the same with millions of items. For all other items, shipping is free on qualifying orders of $35 and more. Best Buy is also offering free two-day shipping through December 25th. So if they all have the same gifts at the same prices, who offers the best service? WMAR-2 News Mallory Sofastaii ordered a popular toy from Amazon, Walmart, and Target. The toy cost the same, around $26 from each site, but shipping times varied. They advertise free two-day shipping on millions of items, but the toy, sure to be on kid's wish lists, was not one of them. They added a $5.99 shipping charge. If you're having a hard time choosing a retailer, check their return policy, see if they charge for return shipping, and how long you'll have to send back your purchase. 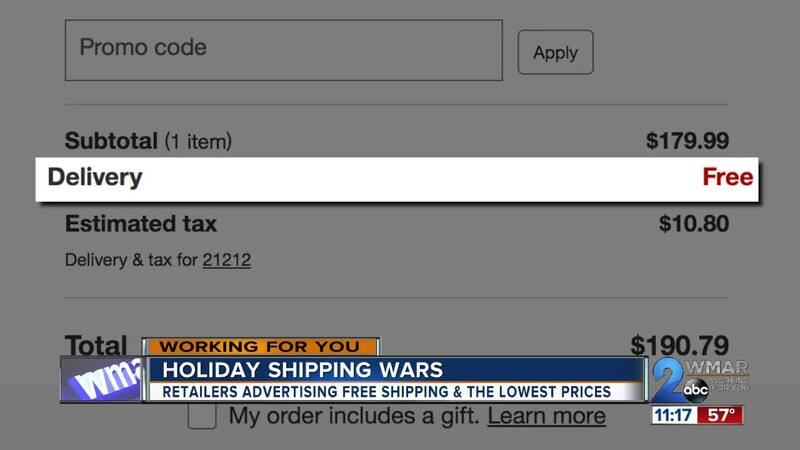 For more holiday deals and tricks, check out wmar2news.com/consumer.